A new pet for WotLK. Currently he is sold for 60 silver by a vendor in Lake Wintergrasp. So far he can be summoned anywhere, even though his tooltip says "He really requires water". You buy him from the Trained Warlock in Wintergrasp. Looks like Morgan Day doesn't sell it anymore. Oh no. :-( I got this pet in beta and really liked it. I hope they didn't get rid of it for whatever reason? mmmm land shark. It was such a good beer for so cheap. 24 case bottles $4.99. That was a good summer. It was in the beta of WotLK but didn't make the final cut. Maybe in a future patch. perhaps a candidate for a new children's week pet? He even got a new icon on the PTR 3.1, I wonder what blizz plans to do with him. Aww... I always wanted a land shark. Oh well, Blizz always takes out a few of the most awesome items. The dreaded land shark, most commonly observed along the coast of Dustwallow Marsh, has eaten many players who seek to travel on foot across dangerous zones. Their uncanny ability to suddenly appear on the beach seems directly linked to the unfortunate victim's low level. European verison of a Battle-Bot? Maybe it will be water pet in the future.. There is water mount so I guess Blizzard want to make so city under water or something like that. I hope so. Grows up to be this nasty beasty. Think very carefully before you take up the responsibility of raising one of these. My bet is that they included this pet in the PTR for "testing purposes." It's my belief that we're headed into the Maelstrom in the next expansion and I believe they include little bits and pieces in PTRs just to see how well they do. They never intended to include this in the recent patch, but were testing it for future use. 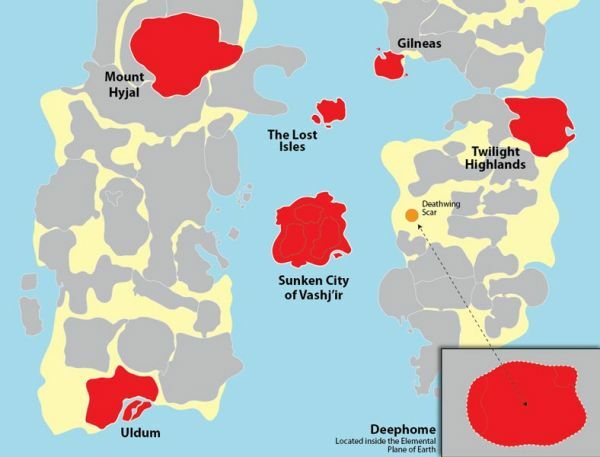 The Sunken City of Vashj'ir is within the maelstrom it seems, and is a enterable city too I believe. Maybe it will be sold there in the future? Could be a reward for winning the new "Kalu'ak Fishing Derby." This needs to be included in-game... with the name of the shark as "Larry" and the flavor text "Your Shark is an Endless Pit of Ravening." You dont write B rate movies for the SciFi channel do you? y cant you get y they add somthing u cant get? they need to add this back for cata. there will be some major higher-level play underwater in Cataclysm, maybe Blizz will patch this back in? Oh dude, they said they same thing for WOTLK. "This pet is going to be a WOTLK pet." It has a high chance to come out in Cataclysm because it's under water game, yes.. But we still don't know for sure. BZZZ, I AM LANDSHARK. I can swim through water as though it were land! With the addition of the Purple puffer and the Sea Pony, they should just throw a bubble around this guy and release him! Q: Will the baby shark pet ever get added back into the game? A: Yes! That's what those sweet new water bubbles are for! From the Best Buy Developer Q&A on September 18, 2012. From the Best Buy Developer Q&A on September 18, 2012 . Seems like , it's time to bring shark back .